This month we thought we’d try something completely different and report from one of Ireland’s most inspiring Summer Schools, The John Hewitt Society International Summer School in Armagh City. Now in its 29th year, the John Hewitt Summer School features talks, readings, theatre, performances, discussions and workshops in a unique blend of culture and creativity. A big thanks to John Hewitt team members Hilary Copeland, Bill Jeffrey, Tony Kennedy & Paul McAvinchey for allowing us to produce our first festival report from a very special Summer School. It’s quite a long video, so we thought the following list of timecodes might help you navigate your way through Session #5. 0:40 – Bill Jeffrey, a member of the John Hewitt Society committee, talks to Nessa about the Summer School. 4:19 – Carlo Gebler talks to Nessa about his work in progress. 10:52 – Martina Devlin reads from her novel ‘About Sisterland’. 12:37 – Karen McDonnell talks to Nessa about the John Hewitt Society Bursary Scheme. 16:59 – Eilean Ni Chuilleanain reads from her poetry collection ‘The Boys of Bluehill’. 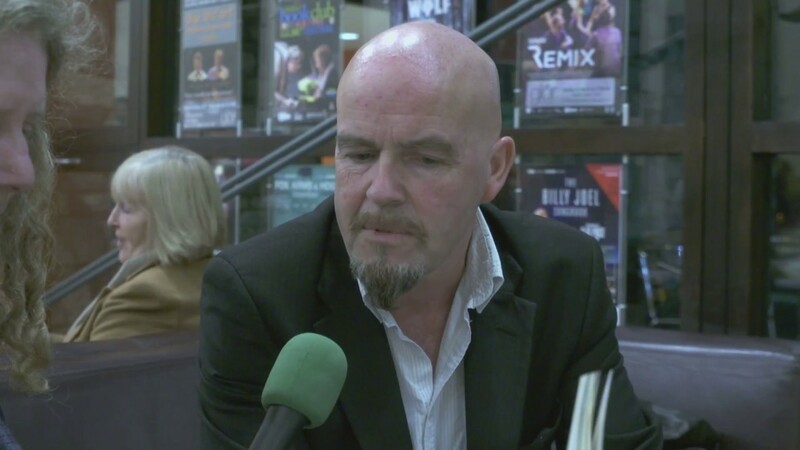 18:14 – Tom French reads from his new poetry collection ‘The Way to Work’. 19:34 – Nessa talks with Terri Ciofalo, programme director of ieiMedia’s Armagh Project about their students’ experience in Armagh. 21:32 – Grace Wells reads from her second poetry collection ‘Fur’. 24:44 – Rita Ann Higgins reads from her latest poetry collection ‘Tongulish’. 26:02 – Writers Maureen Boyle & Malachi O’Doherty talk with Nessa about their recent work. 30:09 – Donal Ryan gives a sneak preview from his forthcoming novel ‘All We Shall Know’ (ATTIC SESSIONS EXCLUSIVE!). 33:30 – ieiMedia students Amber, Marion & Lexi talk to Nessa about their experience at this year’s John Hewitt Summer School.